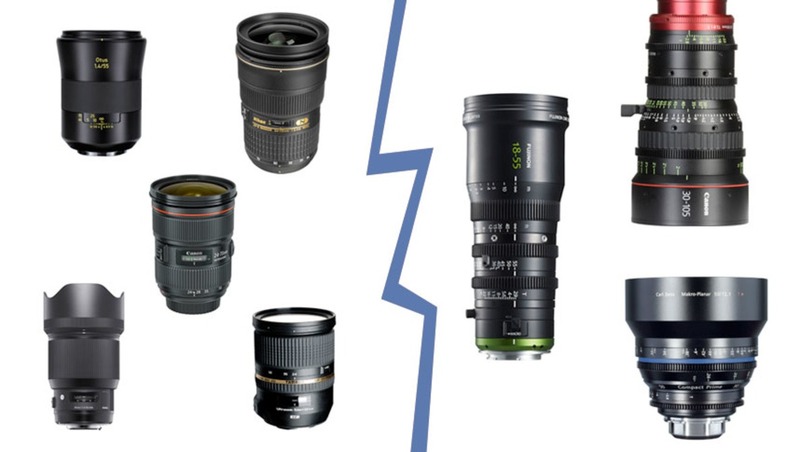 What Is the Difference Between Cinema and Still Lenses? The majority of the readers of this article who shoot video probably use still lenses. You might ask yourself why you may need different lenses for video while your existing photography ones work just fine. In this article I'd like to show you certain features of the cinema glass that you probably always wanted subconsciously. Maybe after reading this you'll start saving up the money for one. If you haven't invested much in video, it's way more expensive than still photography. When I say "affordable" in terms of video gear, it is affordable only in the world of video. From a photographer's standpoint, this may sound crazy expensive. There are lots of cinema lenses on the market ranging from four-figure price tags to six-figure ones. 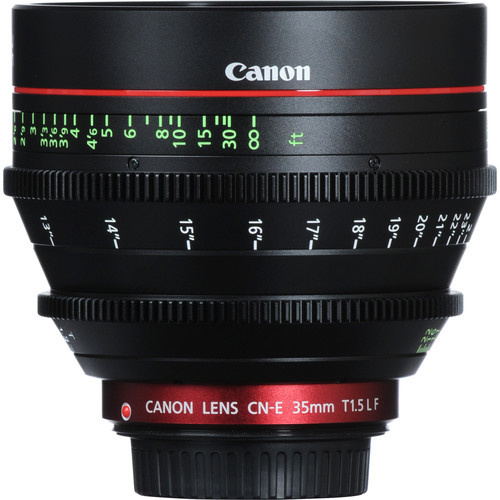 The most common cinema lenses of high quality costs five-figure amounts in US dollars. That's why glass that's below the $5,000 range is deemed "affordable." In this article I will speak about cinema lenses in general and although I'll give examples with lenses that cost a fortune, there are affordable models that can do a great job too. Don't get discouraged by pricing, but focus on their features, so next time you work on a higher budget project, you know the advantages and disadvantages of cinema and photography glass. The lens is one of the tools for making a moving picture. It allows changing focus, zooming, and combining it with different accessories that aid the shooting workflow. When I started working with video, I never thought there was more than just optical quality of the cinema glass. Here are some features you have to be aware of. Look at the image above. Don't you think cinema lenses look way more professional than the professional still ones? Definitely. If you want to look more professional, you may get cinema glass just for looks' sake. If you've noticed, most cinema lenses are way bigger on the front than their stills cousins. The 28mm Carl Zeiss Compact Prime on the picture is much larger than a 28mm stills lens. 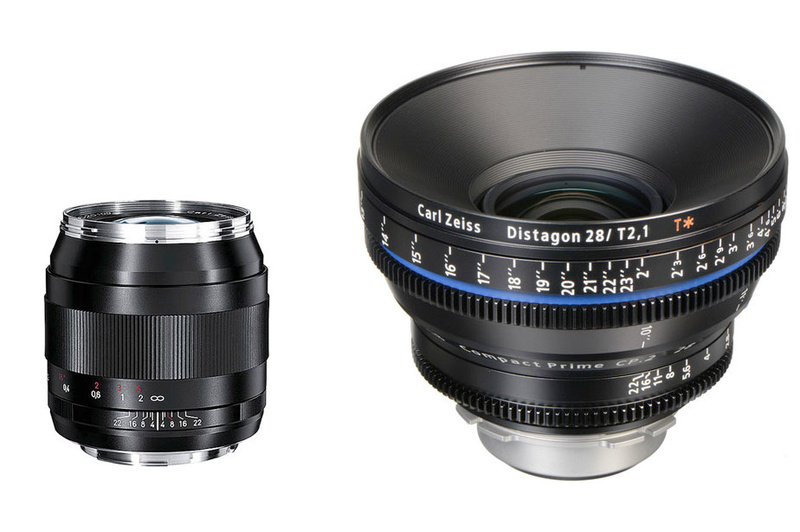 Just as with the "affordability" term, this lens on the right is a compact cinema lens. The reason for having lenses of the same diameter is the accessories that may be used with them. Imagine using ND filters for a certain scene. By switching lenses you don't have to switch to different filter sizes. You are going to put the same filter and thus not only saving money on filters (OK, for a $140,000 set, the expression "saving money on a filter" is inappropriate), but you are sure the image will be exactly the same, because you use exactly the same filter. When using matte boxes you don't have to worry if the lens' front diameter will fit it. You just change the lens and it fits with everything else seamlessly. 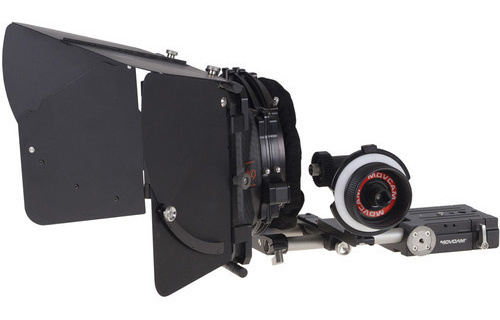 The same for follow focus units, remote zoom, and aperture control units. 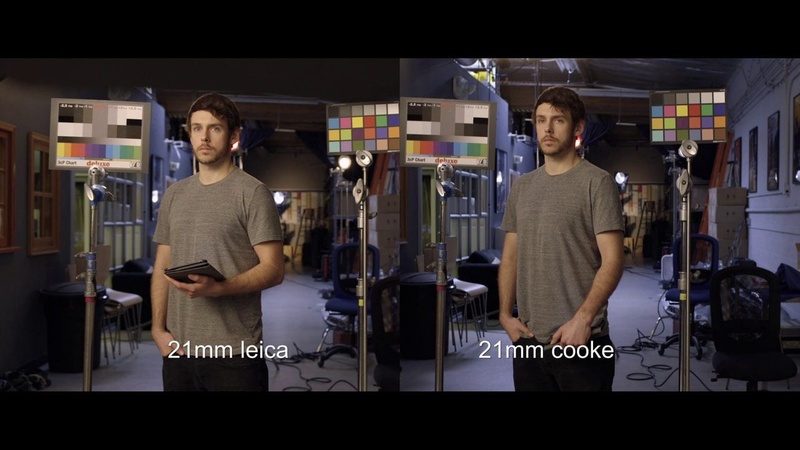 Having the same lens diameter doesn't require changing the configuration of the units or switching matte boxes. Being of the same weight means you can change different focal length primes of a given set and you don't have to re-balance any stabilization system. If you've worked with one, you know what it means. Larger rings allow to fit more lens marks such as focus distances or aperture values. One of the most used features of a lens in video is changing focus. 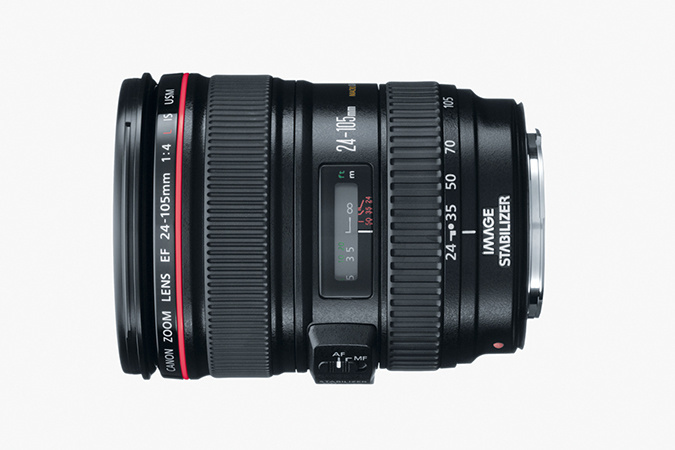 For still lenses your focus is most probably electronically controlled from your camera's autofocus capability. Let's say you have a scene where you need to rack focus from one fixed object to another. As objects don't move you can set the focus ring at the position where the fist object is in focus. Then you rotate the focus ring until the second one is in focus and mark that position. How do you mark it on a still lens? You can't. See how moving the focus from 3 to 5 meters (on this lens on the image) requires working with a clockmaker's precision when rotating the ring. Also the ring doesn't have a hard stop. When you reach to the infinity mark and you can continue rotating the ring... to infinity. Although using follow focus units with photography lenses allows for more precise control you still have a very little room for movement. On the other hand with cinema lenses the focus ring has hard stops at the beginning and at the end. Also its movement is more comfortable from its minimum to its maximum distance mark. You can be more precise even without a follow focus as marks are clearly visible and distributed on a larger scale. The aperture, or the iris, is controlled by a ring on the cinema lenses. The ring moves smoothly from value to value without any clicks or the need of electronic controls such as on the modern still lenses. The cinema lenses are marked with T-stops instead of f-stops. T-stops is a more precise value. I discussed that in a previous article. Cinema zoom lenses are generally quite expensive. When zooming in or out they don't change their physical size. This is a very important property especially when the camera rig is balanced on a stabilizer systems. If zooming affects the balance even a slight focal distance change would require rebalancing. High-end still lenses also don't change in size. However if you need to zoom them while recording they don't have a smooth zoom transition. Most of the time it looks jumpy. It's not a problem for still photography but it is for video. On cinema lenses the zoom is smooth all the way. Most of us who are used to zoom lenses in still photography know that when you zoom in you may have to re-focus. Lenses that keep the focus regardless of the zoom level are called parfocal lenses. This is very important for video. There are parfocal still lenses too, although this is something you may have never noticed or used because you have autofocus kicking in on every half-press of the shutter. Good stills glass will have good optical quality for video. It's hard to recognize cinema from stills glass quality just by recording a video of your cat in your living room. But if you put the lens in difficult lighting situations such as direct bright light or high contrast scenes, you will see the picture is different. Although lenses of different manufacturers may vary as color and contrast interpretations, most of the time the cinema lenses of one brand will have consistent color and contrast features throughout a production set. Sharpness in the corners is a must. This is the optical defect where lines of high contrast in the image are accompanied by rainbow colors that originally weren't there. The cinema industry is highly intolerant to such imperfections. That's why production of lenses for video minimizes or completely eliminates such issues. Cinema glass should not vignette whatsoever. Although that's easy to fix in post, it is not present in the cinema glass or is almost impossible to be detected. Pictures shot with wide-angle or long focal length lenses in photography may have barrel distortion. We can fix that in post sacrificing resolution. In video, distortion is highly noticeable. That's the reason why cinema lenses minimize distortion, although it's sometimes present even in high end ones. Big distortion on a 24mm lens is something probably negligible for the stills photographer's eye. This is all subjective, but cinema lenses have a beautiful bokeh and produce great light flare effects. Shooting with lights aiming towards the camera can introduce really beautiful results, especially if you combine them with a shallow depth of field. In most cases, if you don't rack focus and do not zoom, still lenses may look great in most situations. But once you see the image of a cinema glass in difficult light situations, even a pseudo-cinema lens, you will know why it costs more. I'm glad there are pseudo-cinema lenses. They are the bridge to higher end visual quality for those of us who are working on sub-million-dollar projects. Killer post. As someone who is basically a professional videographer at this point, it's probably time I learned this stuff. Great read, you broke down a lot of concepts really well! Thank you. To me any cinema equipment must be consistent and reliable/rugged. Which is why you pay prime $ for cinema lenses: The quality of the materials, supply and demand, R&D in the design phase, extensive labor, and quality control (each lens individually tested and evaluated), etc. They are designed to have the image hold up on a 40'+ screen. Being "4K capable" is one thing but how does the image resolve in a theater? All in a package which is built like a tank to take the abuse from normal film production. Unfortunately most of the more "affordable" cinema lenses aren't quite up to par, even when compared to more vintage cinema lenses. I've never used a real cinema lens. Only a pseudo, so I don't know the feel but I'd like to experience that some day. You could always rent them. One thing I've been doing the last couple years is rehousing my Leica R lenses into cinema housings. Companies like GL Optics, P&S Technik, TLS, etc. could all make certain stills glass "cinevised" with longer focus throws, declicked aperture, metal housings, focus gear, etc. I'd take my Leicas any day over the newer Xeens or CP2s. Very interesting about the maintenance. I didn't know that. How much does it cost that on average? As for the rent — yes, I could, although in my country there are few rental houses for cinema gear and most of them have pseudo-cinema glass. I just found one that had Cooke primes. I'll have that in mind. Thanks. It's not a huge amount having in mind it's only every 2-3 years. Very interesting! Thanks for the information. You are very welcome. Thanks for the feedback! I'm humbled to read that. Thanks! Love this article, I had never really realized the differences. I'm glad it helped David. I myself also didn't know the differences a year ago thinking still cameras and lenses are more than enough for video work. Thanks again Tihomir for the great post. Some people would argue investing that much money into a lens or set of lens is crazy, but investing in cinema glass is a smart financial choice because they retain their value for long periods of time. The video/film industry will always need high quality glass. Unlike camera purchases, if someone was in the need to sell equipment you can count on getting the majority of their money back on glass. But if someone has the money and wants to make an investment that would pay off in the long run, glass is definitely better than cameras. 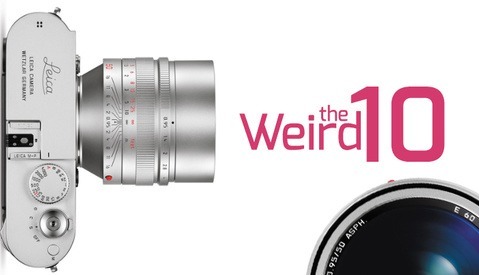 Awesome review and the Xeen lenses really held their own considering the price point. the Canon lens is better at giving you more details in shadows due to lower contrast but those Xeen lenses ... for that price? Nice. Now ... WTH was going on with all the interference noise in the video? Unless you can fit some rentals in your budget, a low budget film with have to make do with DSLRs and DSLR lenses, as well as any other type of video recording gear you can get your hands on. Is it really the end of the world if your rack has focus breathing? The only people that' will cringe are pros, everyone else will just be following the story. In other words, if you can't afford it, don't sweat it. Take your script, find good talent in front and behind the camera, and run with it. Of course you can do lots of things with a DSLR and DSLR lenses when you try to stay away from the situations where the image from them falls apart. Cinema lenses are for those who know story is king and want to elevate the production value using glass in situations where *they now* it will look better. Cinema glass has to be bought only by those who know why they rent it or buy it. Otherwise there will be videos such as "why getting a $5,000 or a $50,000 lens when a $50 one works too." Very interesting! Whilst you haven't quite convinced me to save up for cine lenses (I'm just dipping me toe into the world of video), you've definitely helped me understand why others use them. Yes, they are different tools that look like DSLR glass but they are not. I'm just an amateur and I like shooting movies. But it is not hard to see that these kind of lenses are not within reach of an amateur. I'm not willing to sell my house to spend the money on lenses. Still the T rating would be very nice to have on the normal camera lenses. That's why they've invented the pseudo-cinema lenses. 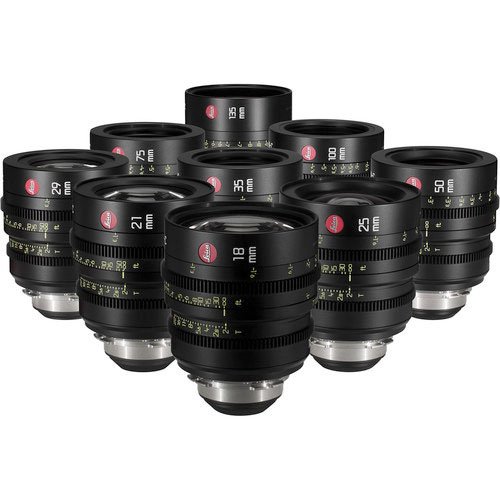 The cinema lenses that cost a fortune are most of the time rented even by the high end professionals. Most of the time they are bought by companies that offer rental services. Of course if one can afford it, they delight in the ownership of a nice piece of true cinema glass. BTW, the article is not intended to tell people to buy lenses for $100K. I want to give some insight of the differences between cinema and stills lenses, so next time someone wants to level up their production they may rent a nice cinema glass to get the job done easily and with more visual quality. Great article!! always had wonder the difference between both lenses, but one question can a cinema lens be use for stills for creating different looks? 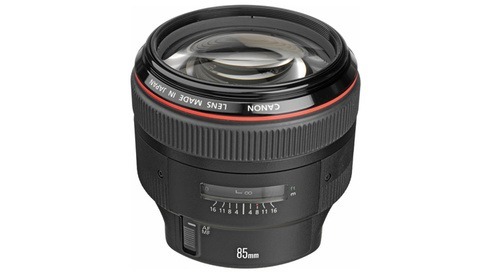 it would be great for some product or food photography and it would be easier to when doing focus stalkin since this lenses have no focus breathing. The answer is yes. You can use the lens as long as the mount allows it and depending on the size of the sensor and the lens type there could be some vignetting. I haven't thought about that "breathless" property for focus stacking. Great idea! you didn't even use the same lighting on the lens comparison.. wow... is this serious?